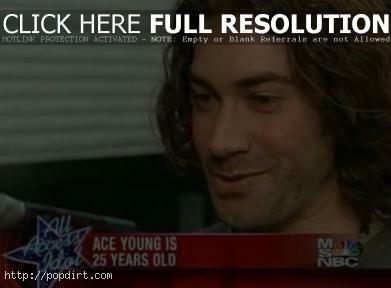 Ace Young didn’t win ‘American Idol’, but he won the hearts of many ‘Idol’ viewers. ‘Live & Direct’ host Rita Cosby asked Ace if any of her viewers have a chance of winning his heart. Video of the segment, aired Monday (June 26), at Bing.com has since been removed.